Decorative concrete has grown in popularity so much that it is now commonly used for indoor as well as outdoor applications. 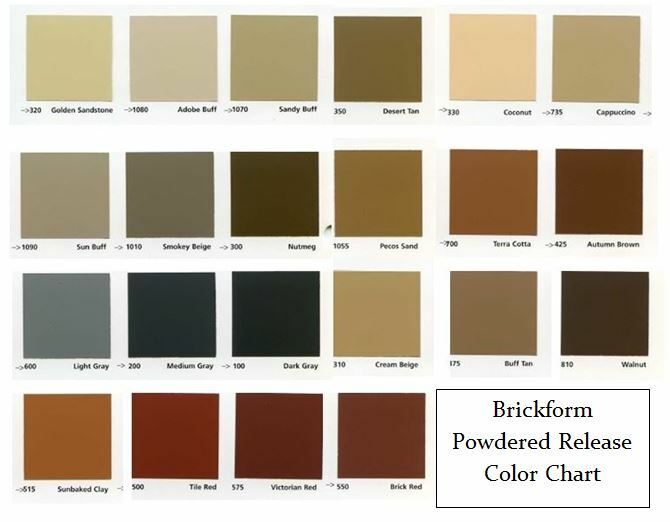 With options of adding color into the concrete, colored powdered release in addition to the existing stain products available, you are limited only by your imagination. 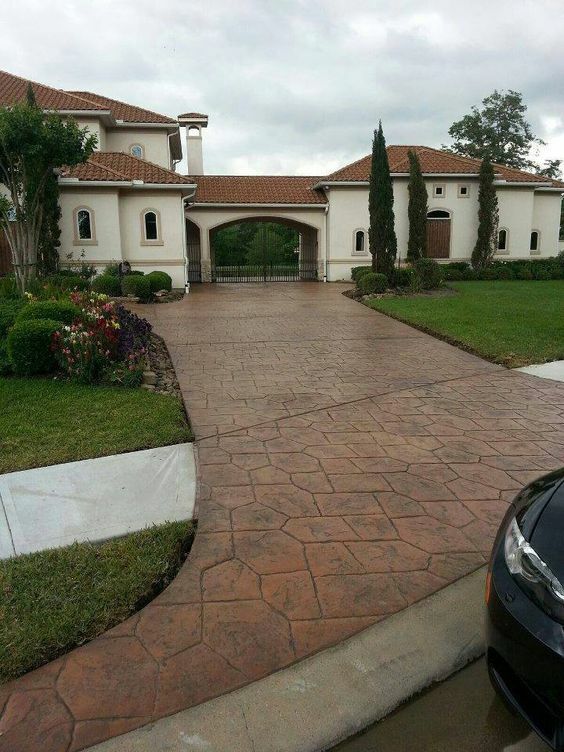 Stamped or colored concrete is now commonplace in every facet of the home and business. With so many choices available, it is helpful to consult with knowledgeable people to sift through the options and customize the benefits for each application. integral coloring of cementitious materials. integral coloring. Every color in stock all the time! Eco-Stain is a liquid semi-transparent water-based concrete stain for accent coloring that can be sprayed, brushed rolled or even sponged. 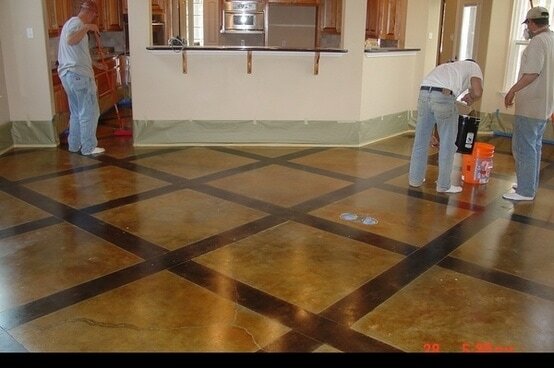 Used for staining concrete floors and walls including overlays and cast concrete products. 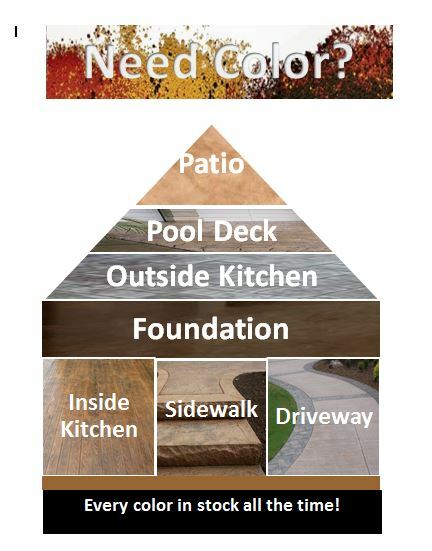 Offered in 30 UV stable concrete stain colors, EcoStain can be diluted up to 10:1 to create virtually any color stain color desired. Applying concrete dyes has never been easier. So how does it work? Unlike acid stains which perform a chemical reaction once in contact with the surface of the concrete to achieve their color, Eco-Stain for concrete floors is a penetrating concrete stain which gives much more control over the design and colors you may want to apply to your project. Giving you more control isn’t the only benefit, though. Since it is a water-based solution, there is no need for any neutralization or clean-up! As soon as the product has been down long enough to be dry to the touch, you’re ready to seal. The most lifelike stamps on the market today. 150+ choices. The highest quality in the industry. The best value in the industry. These are just a few of the features and benefits you’ll find in our line of concrete stamps. 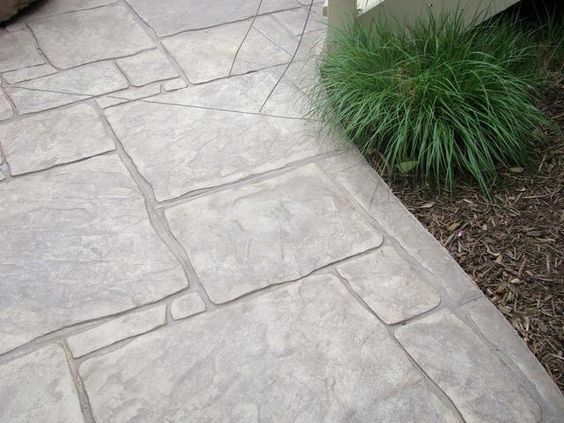 Contractors use our stamps to beautify a wide range of environments, including driveways, swimming pools, car dealership showrooms and virtually any surface that calls for a distinctive look. A release agent is required when stamping concrete. Without it, the concrete paste can adhere to the stamp, ruining the final texture and appearance. There are two primary kinds of release agent: powdered and liquid. Powdered release agents will become embedded in the low stops of the concrete (the high spots of the stamp), imparting a contrasting color in a process called antiquing. When the dust of a powdered release is not desirable or antiquing is not the desired effect, clear liquid release agent can be sprayed on to the surface and the stamps to achieve the same bond breaking effect without adding any contrasting color.